Hey peeps, ever get so excited about picking fonts that you try on each one in your dropdown menu for an hour and end up stricken with fear that none of them will work on your client’s computer? I did this just two days ago. And then I pulled out my notes from a webinar I attended, Type on the Web, offered by HOW. There are five main “safe fonts.” These are fonts that are installed on virtually every computer – so you don’t have to worry about your pick being replaced by some default on your client’s computer that reformats your entire report. These fonts are also appropriate for web reading – so that, if you are like me and send your reports via PDF, your report will be legible whether your client makes copies or sends it to the board electronically. Verdana – This is the most legible web font. In fact, it was designed to be readable at small sizes on the web. Trebuchet (my favorite) – Also designed for readability on the web but it has more personality than Verdana. Compare the lowercase g for an illustration. Arial – It was not specifically designed for the web, but it works well and everyone has it on their computers. Georgia – It was designed for the web as an alternative to Times New Roman. It works especially well in smaller sizes. Times New Roman – This font was designed for print, newspapers specifically. It is not that easy to read at small sizes, but again, it is safe in that everyone has this installed. If you use one of these five fonts, you can feel secure that your report’s appearance and legibility will stay intact regardless of how your client chooses to handle your report. 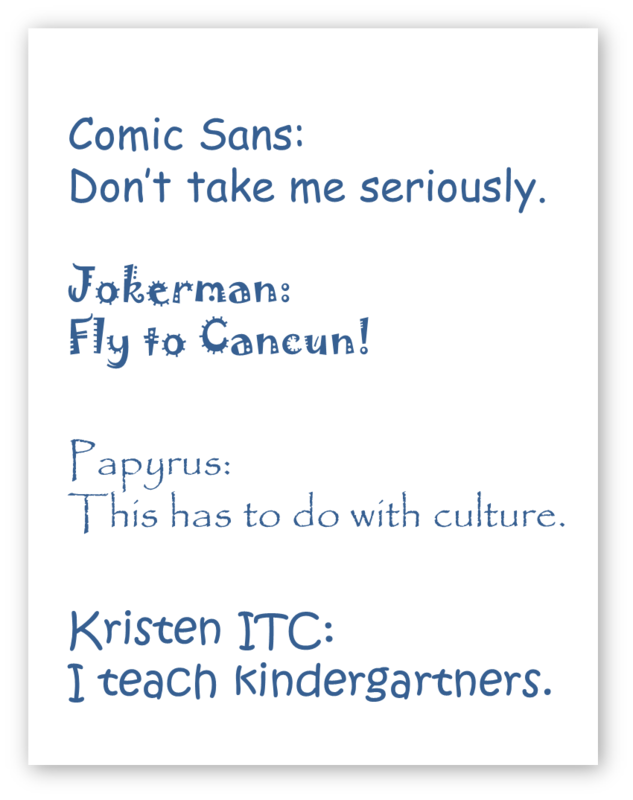 Of course, I like to choose a somewhat flashier font for my titles and sometimes my headers. If you are really intent on doing this, you might choose to make your title text box into a picture. That’s right, save it as a jpeg. This should keep your flashy font stable as it moves from computer to computer. We write evaluation reports so they will be read (and then used). Do whatever you can to support their legibility!